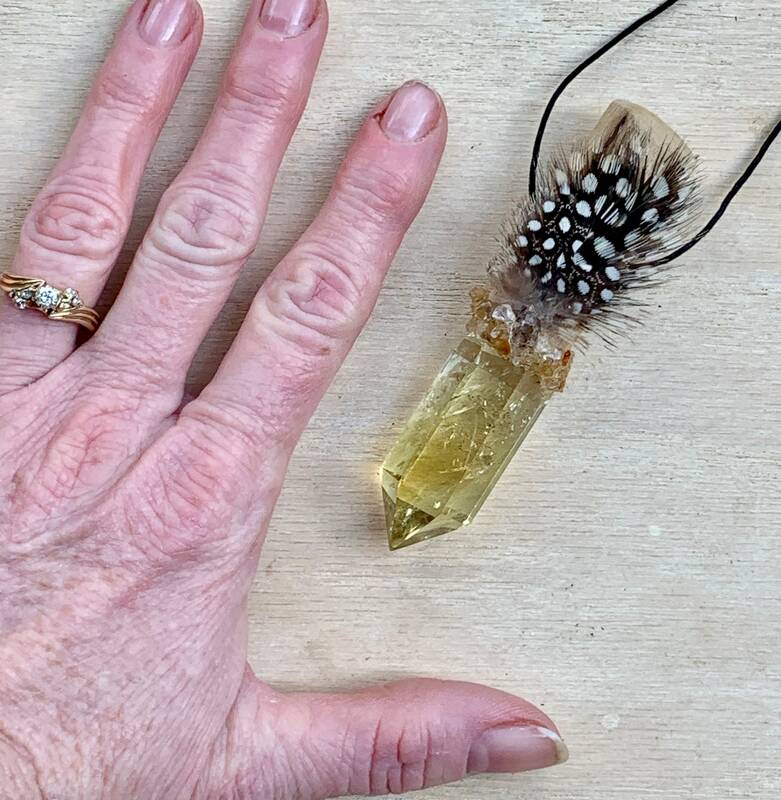 Assists with Deep Inner Transformation, Increases, Magnifies & Clarifies Personal Power; Encourages Psychic Awareness, Spiritual Development, Intuition & Connection to Higher Realms; Fosters Clarity, Inner Wisdom, Emotional Balance, Creativity, Optimism & Wellbeing. 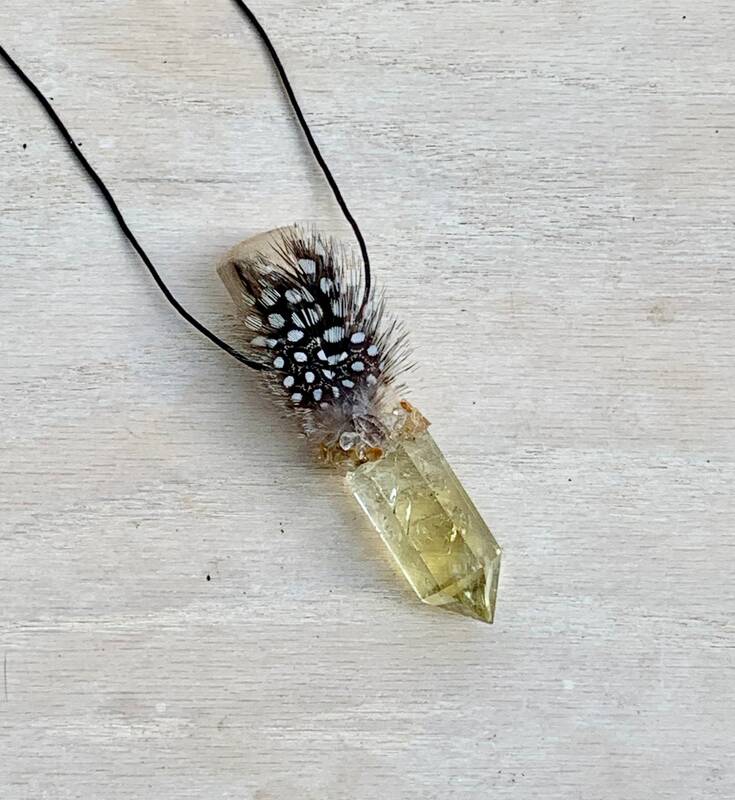 Lemon Quartz - Amplifies creativity, organization, optimism & wellbeing. 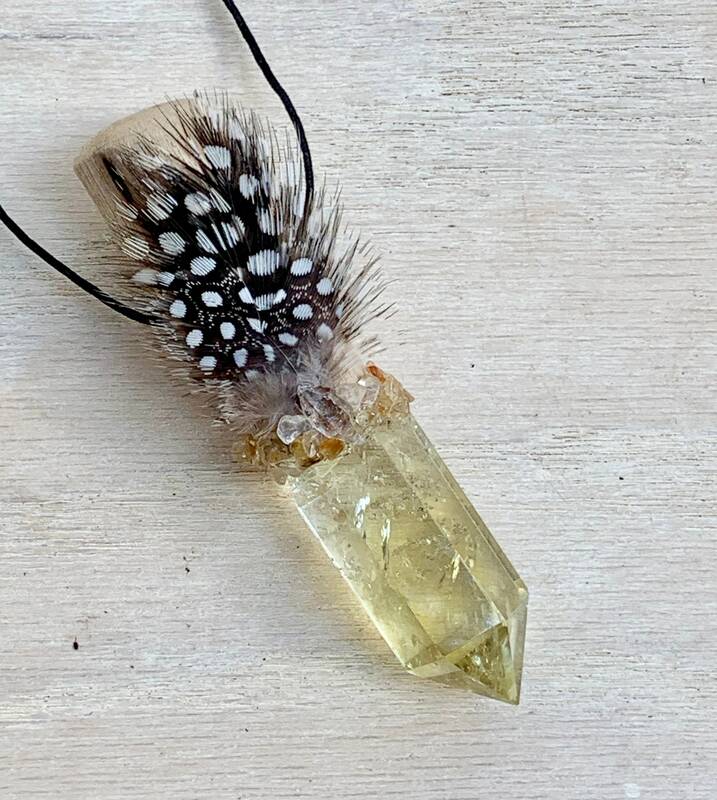 Meditation wi lemon quartz will enhance the focus on goals, brings a clear and bright outlook to envision the future just as you want it. Drives away negative thoughts & brings out positive characteristics. 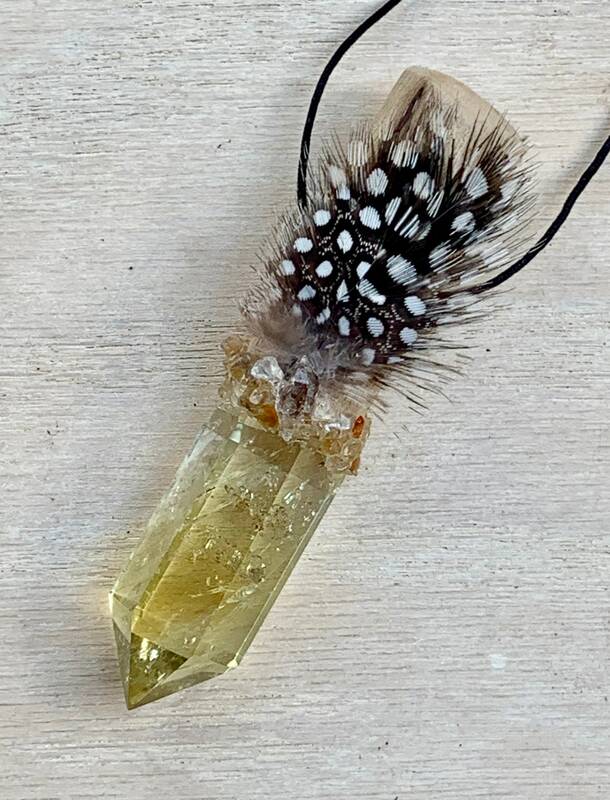 Herkimer Diamond – powerful amplifier for energies of other stones. Aids in being and enhancing spontaneity. Often called the “Stone of Attunement” and can be used for healers to attune clients. Brings clarity, truth and inner wisdom. Initiate a deep inner transformation of self and assists with dreams and inner vision. Assists with telepathy, clairvoyance, channeling, trance channeling, meditation and communication with the Higher Self and Spirit Guides. Enliven and promote creativity. Clear all chakras and allows energy to flow. 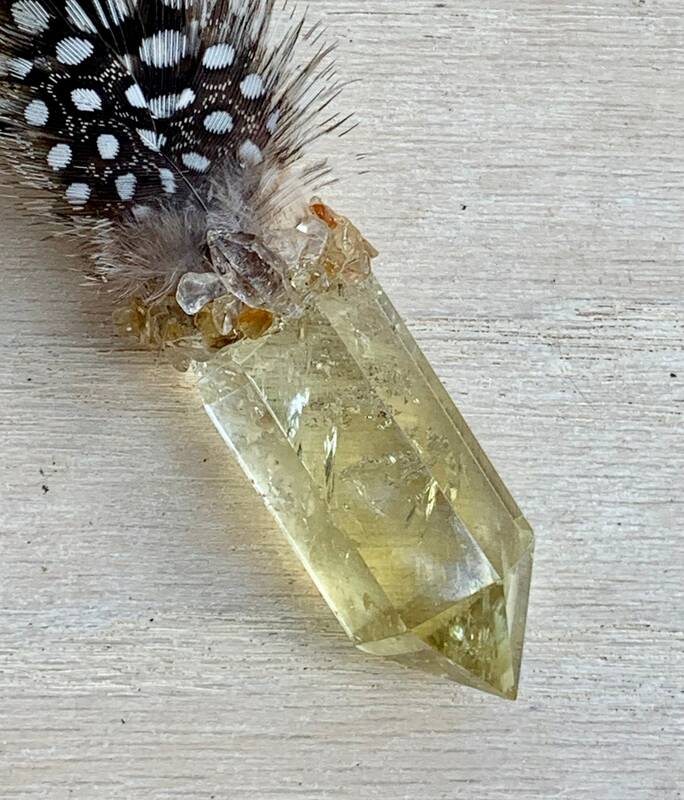 4 inches long; Lemon Quartz 2 inches.